Is it just me or has this summer gone by quickly? This entire year is flying by actually so I am slowing down to enjoy it. One thing that I have really taken the time to appreciate this year is the pool at my place. I love having friends and family over to enjoy it with me on the weekends. And I can’t have someone over to my place without cooking for them. Around our house growing up, comfort food was always some sort of Mexican dish. As a kid, you don’t really appreciate that but now looking back, I realize just how lucky I was to have a mom who was a great cook and a family that loved each other. 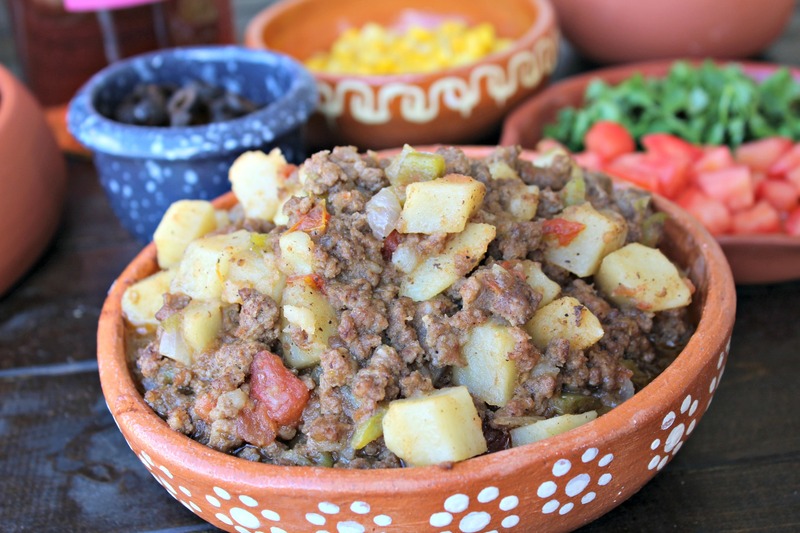 One of the dishes we had quite a bit growing up was Picadillo. Of course I didn’t call it that as a kid – to me it was just meat and potatoes. 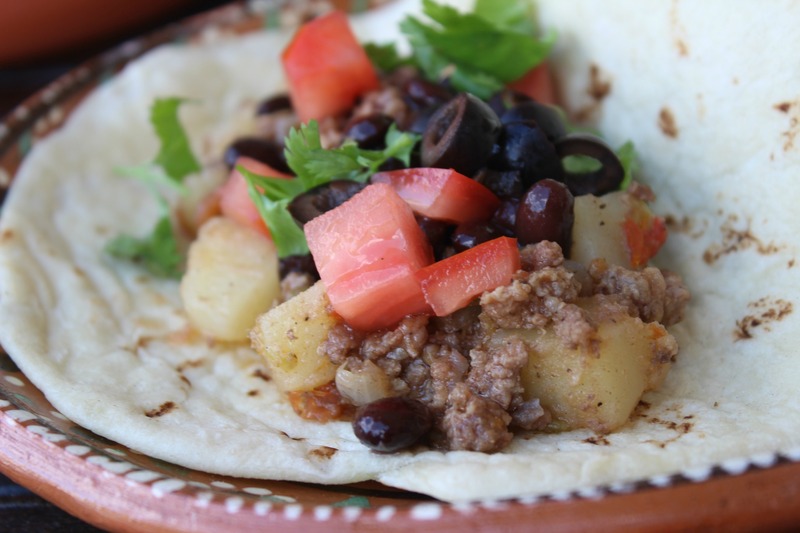 It is one of my nephew Caleb’s favorite dishes and he calls it meat and papas. He would eat this every day if he could. I’m sure he’ll be learning how to make it on his own soon. 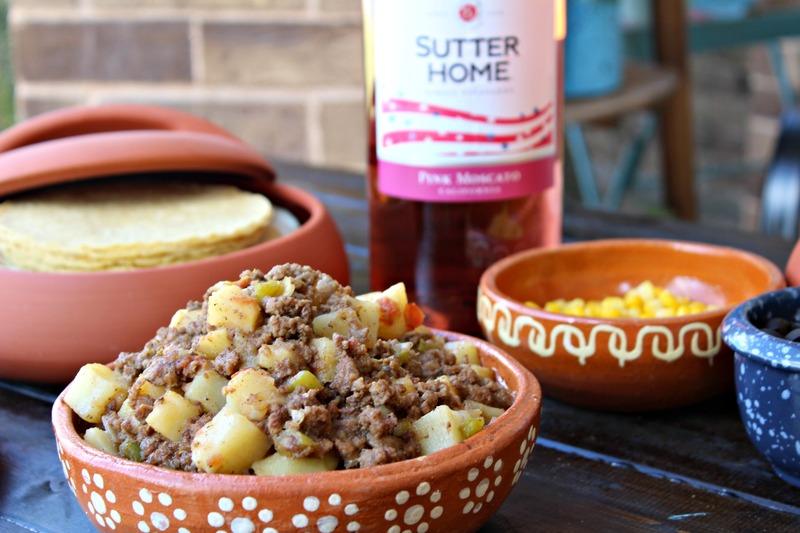 Recently I had a couple of girl friends over to enjoy the weekend with and decided to make my mom’s Picadillo to serve. Of course, with these gals, you can’t have them over and not serve some sort of drink. 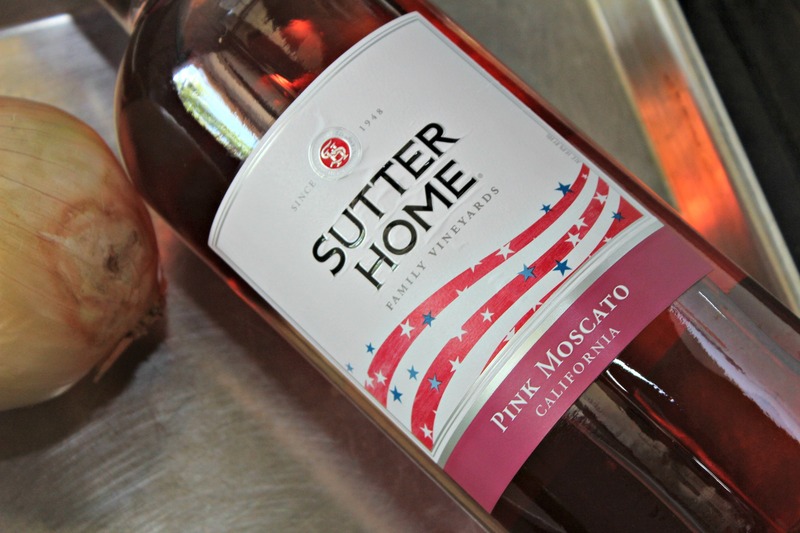 This summer, I have been enjoying the sweet wines from Sutter Home. With their award-winning wines, affordable prices and selection, it is any easy choice to bring to a get-together or serve for company. Even if you don’t know how to pick wine, you can have confidence when you pick up a bottle of Sutter Home that your friends will enjoy it. My favorite is the Pink Moscato. Oh yeah. Want to see the variety of wines offered, be sure and visit their website at UncorkTheMoments.com. Add canola oil to a large saute pan and heat over medium heat. Add half the onions and half the green bell peppers. Cook for 3 minutes. 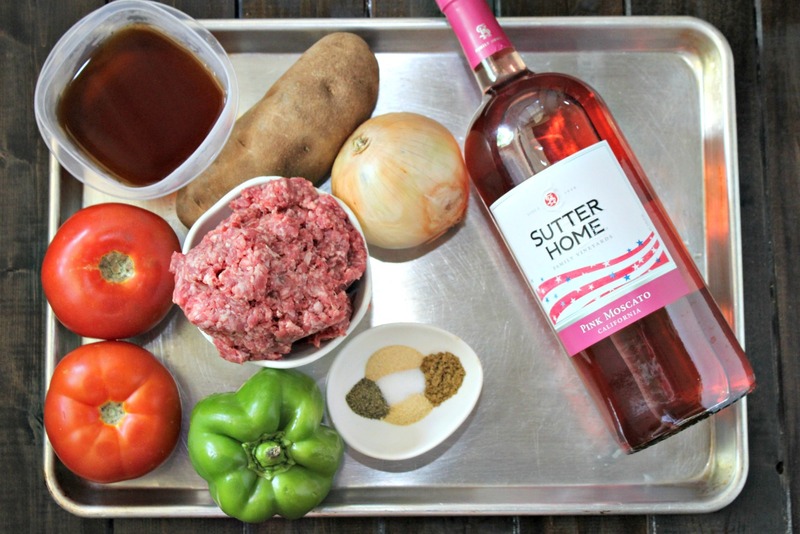 Add ground beef to the saute pan. Let cook until browned. Season with half of the seasonings. Add to a blender the remaining onions, bell peppers and half the tomatoes. Add in the minced garlic and 1/4 c beef broth. Pulse until all the ingredients become liquid. 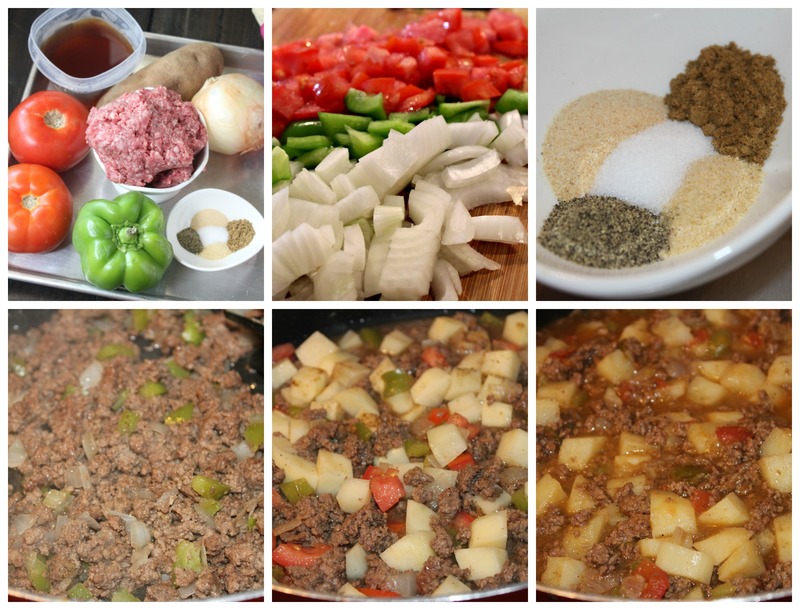 Add potatoes and remaining tomatoes to beef mixture. Pour in remaining beef broth and season with the remaining spices. If using blended sauce, add in half at this time. You can add in the remaining gradually, if needed to get to desired consistency. Bring mixture to a boil. Reduce to a simmer, cover and cook for 20 minutes until potatoes are tender. 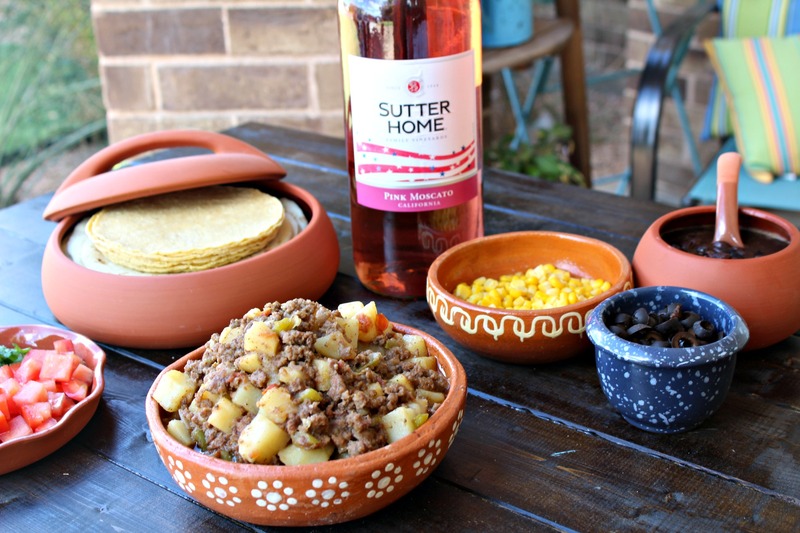 Serve with tortillas and additional taco toppings. Or you can serve with refried beans and rice as a side dish.